One of the first things you want to assess is: Is the current deck a hazard to anyone in or around the home. If the answer to that is yes, you’ll want to take precautionary measures to make sure no one gets hurt while the damaged deck is still in place. You will want to decide if the deck needs to be completely taken down or if any part of the deck can be kept. You can call on us to help you if you may not be sure. If the answer is no, it’s not a hazard to anyone, then your decision to keep or take it down may not be as urgent as if it was a safety hazard. Still, if you have a damaged deck, you will want to fix it as soon as possible. If your deck repair projects get put to the side because you just don’t have the time, call on our deck repair specialists. We can look at your deck and repair what needs repairing or we can simply build a new deck. 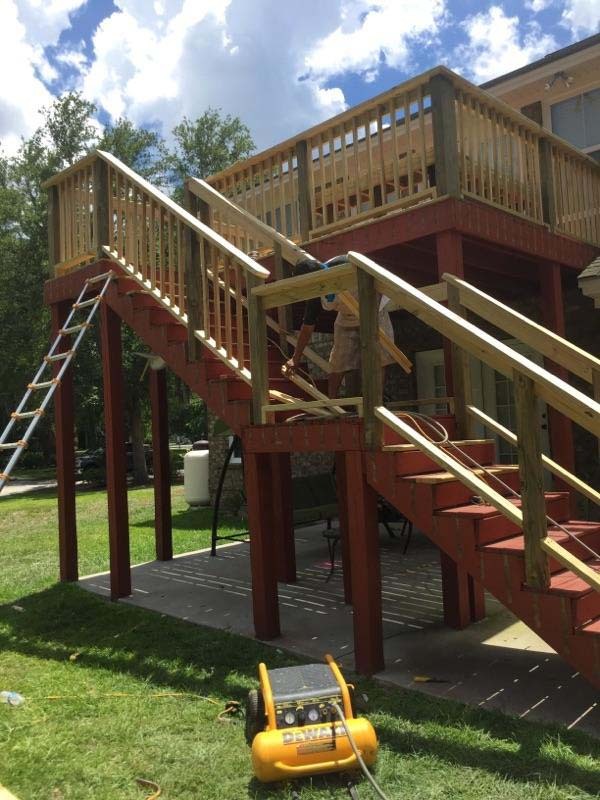 If you are wanting a new deck built for the front or back of your home, we can come over and listen to what you are wanting and give you a solid estimate of the cost and time it will take to fully complete your new deck build. 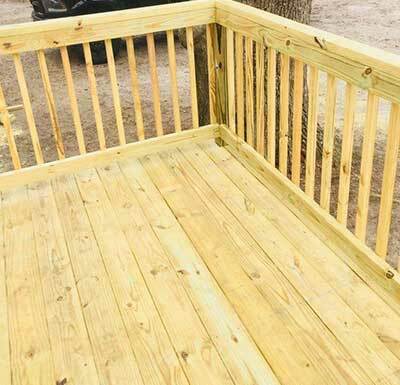 We have repaired decks and built custom designed decks for our previous clients. There are mistakes one can make when attempting to build a deck for themselves. One of the most important things to remember is not to place the wood decking directly on the ground. When you do this, you are sure to have a rotting foundation after a few years, especially if you are in an area like Georgia, that gets a substantial amount of rainfall. When it comes to choosing the wood for your decking, ensure you are choosing lumber that is treated and ready to be in the elements of nature. Hot and humid in the summer and cold and wet in the winter. In the south we do not have much snow, but we do have plenty of rain, so you may choose to have a coating put on the deck once it’s finished to protect it and to help with slippery steps. Whatever you choose to do, remember you can always call on a professional deck builder, like Residential Improvement Doctor. We are always ready to assist you in your deck building needs.